This package provides the ability to implement switchable keyboard dialogs in the project. 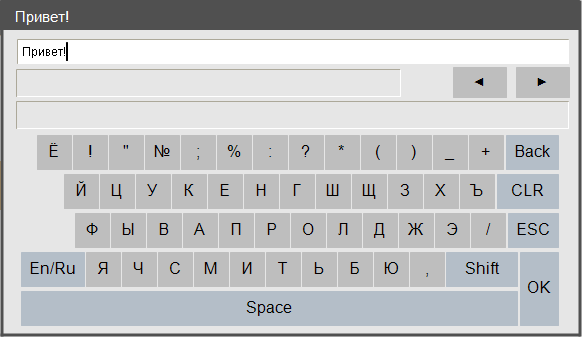 The keyboard includes English and Russian layouts with uppercase and lowercase letters. The keyboard works with WSTRING values of the input/output variable and title.